History leaves a permanent mark and that mark is a mansion in a little are around los angeles called Los Feliz. The mansion remained frozen in time since December 6, 1959. During that dark night in December, Dr. Harold Perelson murdered his wife and attempted to murder his children in a frenzied hammer attack. He then later killed himself after realizing what he had done. 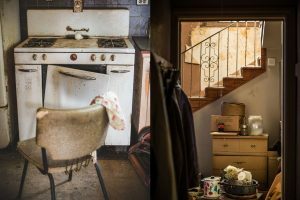 Fifty years later, the mansion was left as a time warp with the Perelson’s furniture, mail, clothing and even a christmas tree with wrapped presents that remain there as a reminder of the mansions violent past. 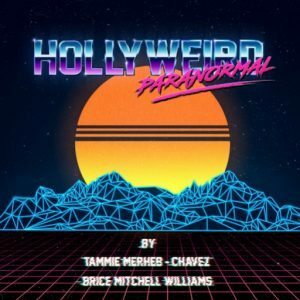 Soon visitors started reporting paranormal activity which led to the abandoned mansion to be the focus of an Internet obsession. What mysteries lie within the mansion? What clues inside might explain what possessed him to destroy everything he loved? Who are the new owners who purchased such a dark home. 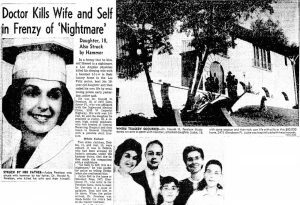 This is the true crime and paranormal aftermath of the Los Feliz Murder House.